By the close of 2017, an estimated 1.66 billion people globally bought goods online. Total global e-retail sales for the same year hit 2.3 trillion USD. These figures are projected to double by the year 2021. These eCommerce statistics are courtesy of Statista. In light of the above, eCommerce is a lucrative field to venture in; for every person who has a product to offer. When starting out, selling online can be challenging just like any other startup. However, with the right tools and pointers, you can convert your online audiences into cherished customers. This article lays the foundation so that you can start selling online easily. Shopify is a massive eCommerce platform that allows people to set up shop easily and start selling online. It is an online store builder that assists sellers or merchants to develop, design and market a variety of consumer goods all around the world. Therefore, you do not have to be a website developer to create a suitable online store. With an array of templates and tools, you can create a custom shopping website using Shopify. This eCommerce platform works in a very simplified manner. Start by visiting their website and signing up. You can choose the 14-day free trial if you do not want to commit immediately. Then, use the tools provided to customize the look of your online store. From images to videos and logos, you have many options. The built-it shopping carts will help you start selling after you are done with choosing a theme and customization. Creating a fully-functioning eCommerce website can be a costly affair. When starting out, you may not have enough resources for this. 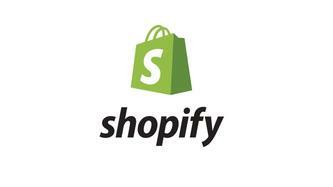 Shopify makes it easy by being affordable. For a low monthly cost, you get an online shop that gives you full value for your money. There are several flexible plans to choose from. For any eCommerce startup to thrive, marketing is imperative. Shopify has provided all the important tools so that you are able to connect with customers easily. Some of the tools include SEO features, analytics, email marketing, social network integration, custom gift cards, discount codes, coupon engine and more. Vising the Shopify App Store will reveal a sea of additional marketing tools to utilize. Any startup in the eCommerce sector is always vulnerable to hackers and data breaches. To this end, you need a system that guarantees top security. Shopify handles all your security issues including hacker protection, compliance and security upgrades. It is no wonder top brands use Shopify to power their online stores including General Motors and CrossFit. Using Shopify means that you do not have to worry about your hosting needs. This is because they handle all hosting requirements including software maintenance. Shopping cart hosting can be tricky and outright expensive for those who are starting out. Shopify therefore allows sellers or merchants to concentrate on the most important task; selling products online. For customers to look your way, your online storefront must be attractive. Thanks to a world of themes available at Shopify, you are able to create a high quality design that is inviting to prospects. This also means having an attractive content layout so that your traffic or visitors can enjoy an easy interface for pleasant user experience. Shopify supports its customers every step of the way. Through versatile ways like email, phone and chat support, you will not have a problem managing your eCommerce website. This is a recipe for success. A list of top celebrities have chosen to use Shopify to create successful online stores. Top names include British songbird Adele, celebrated Canadian rapper Drake, Justin Beiber and the Jenner sisters. Kylie Jenner is set to become the youngest billionaire in the world according to Forbes. Her popular Kylie Cosmetics Store is powered by Shopify Plus. - The platform was originally a store for selling snowboards; in fact it was called Snowdevil. - When the platform first became an eCommerce website builder, it was called Jaded Fixel. - At age 11, Tobias Lütke (co-founder) was rewriting codes to create his own games. His parents actually had him checked out for abnormal behavior. Lütke was found to be a smart, talented and passionate creator. - The massive platform powers up to 600,000 businesses globally with over 1 million active users. On the platform, goods worth $63 billion have been sold. - This is a Canadian company headquartered in Ottawa, Ontario. It was founded in 2004 by Tobias Lütke, Daniel Weinand, and Scott Lake.